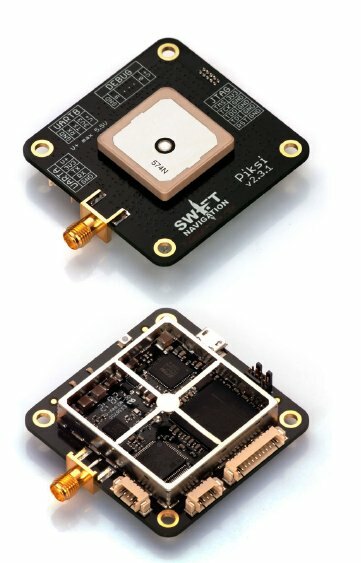 Having started out with a crowd source–funded launch through Kickstarter followed by two rounds of more conventional venture capital backing — $2.6 million in 2014 and another $11 million last December — San Francisco, California–based Swift Navigation is going after a low-cost, high-precision market such as unmanned aerial vehicles (UAVs) with its Piksi GPS receiver platform. Measuring 53×53 millimeters and outputting 50 position/velocity/time updates per second, Piksi supports real-time kinematic (RTK) positioning with centimeter-level relative positioning accuracy, according to the company. The RF front-end, a Maxim MAX2769 integrated down-converter and 3-bit analog-to-digital converter, can cover the L1 GPS, GLONASS, Galileo, and satellite-based augmentation system bands. 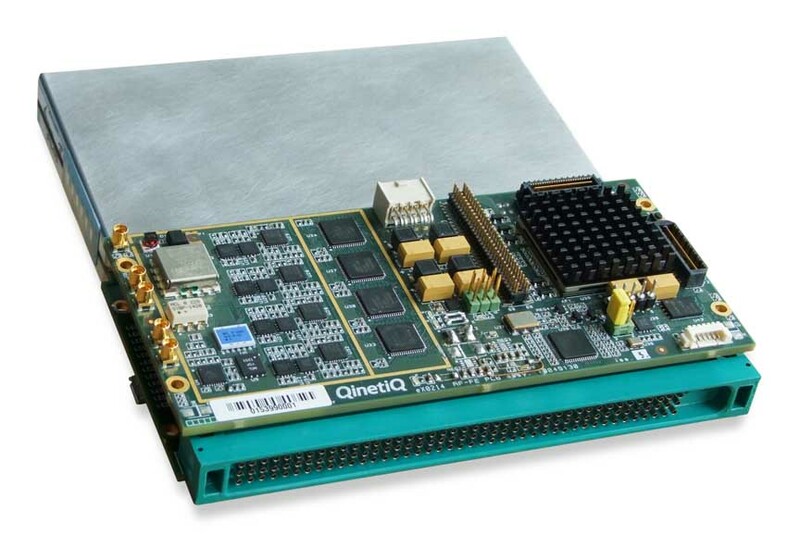 An on-board digital signal processor and the company’s Swift-NAP correlation accelerator incorporates a Xilinx Spartan-6 field programmable gate array preprogrammed with pre-programmed with SwiftNAP firmware. A Piksi datasheet (v2.3.1) was released on January 22, 2016.